There are a lot of holidays throughout the year (heck, as I mentioned earlier, it's one here today in the US). But there's only one holiday that's specifically all about gaming. And it's not just one country's holiday. It's everyone's! It's International Tabletop Day. And it's been growing with every year. This year, you can even get some exclusive items. Just ask your FLGS to put their name on the list to get the box of goodies. If you want to pick them up on ITTD, make sure you tell your friendly local gaming store to order these items from their distributors by March 16 so they can have them in their stores the week of April 22. 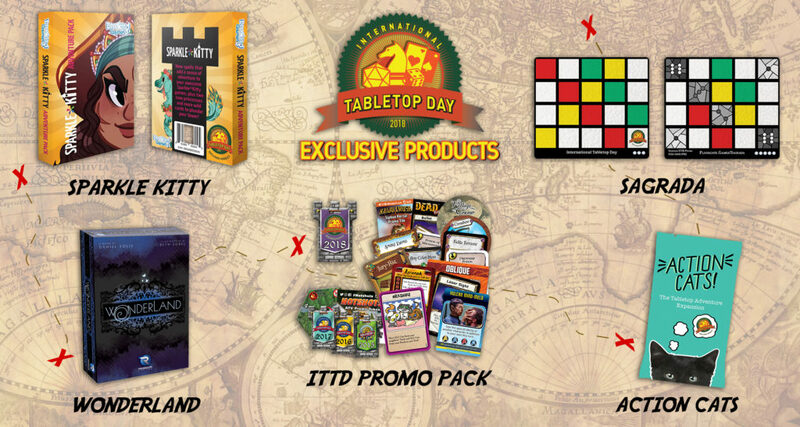 You can also remind your FLGS to register their ITTD even on TabletopDay.com to stay up to date.